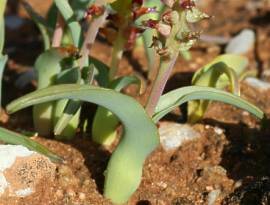 Lachenalia framesii has beautiful yellow-green flowers and is found in flat, sandy areas in Namaqualand. Lachenalia framesii is a small, perennial geophyte, up to 150 mm high, which produces one or two green leaves, 75 - 100 mm long. The upper leaf surface is smooth and without any purple markings. The leaf can be channelled and the margins are usually, but not always, undulated. The peduncle is slender and carries sessile lime green flowers with protruding, magenta inner segments (see L. valeriae). The stamens are shorter than the perianth and the seeds are small, matt and black. The plants usually flower between July and August. 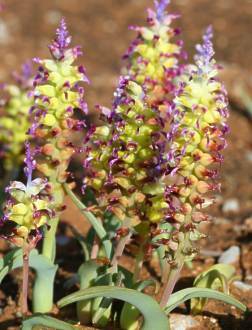 Lachenalia framesii is endemic to the Northern and Western Cape and is only found in the Succulent Karoo Biome. It occurs in large colonies in gravelly sand and its distribution range stretches from Komaggas in the north to Vanrhynsdorp in the south. 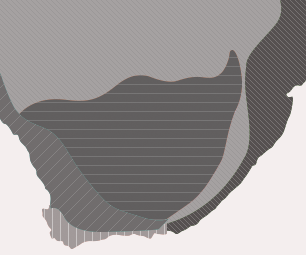 It is often associated with quartz patches on coastal plains. The genus Lachenalia was named after Werner de Lachnenal, a professor from Basel, Switzerland. The species framesii was named after Mr P. Ross-Frames, a collector of succulent plants who re-discovered this species in 1928, about 32 km north of Vanrhynsdorp. Almost all Lachenalia species can be successfully grown in containers and some species can even be planted in gardens. Lachenalia framesii is floriferous and one of the best species to cultivate in containers. Lachenalias in general are frost-sensitive and prefer sunny, airy spots and excellent drainage (preferably sand). Plant the bulbs in autumn (March to April) and water well once every fortnight. At the end of spring, the yellowing of the leaves will indicate the beginning of the dormant period and watering should be withheld completely. Containers should now be stored in a cool, dry place till the next autumn. Lachenalias can be grown from seed as they germinate readily, and also from leaf cuttings. No special feeding is necessary. Barker, W. 1931. Lachenalia undulata. Flowering Plants of South Africa. Vol. XI: t. 431. Duncan, G.D. 1988. 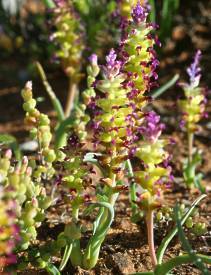 The Lachenalia Handbook. Annals of Kirstenbosch Botanic Gardens. Vol. 17: 15 - 28.